Where can I purchase a print or e-book ? Comments and Suggestions - Contact Me! The men doomed to death were ordered to dig a hole in the earth for the purpose of making an oven (underground) and cut firewood for the oven flames. Then they were directed to wash their naked bodies thoroughly in the nearby stream, pluck a banana leaf to use as a cup to collect their blood and commanded to lie on the ground to be hog tied, hand and foot, to a sturdy wood beam. Hoisted on the shoulders of two sturdy slaves, the bound victims returned to the village. Two tribal elders opened a vein in each man with sail sewing needles, and the blood was collected in the banana leaves to be drunk by their blood-thirsty captors. The blood-letting weakened the captives’ resolve to survive the atrocities that followed: their arms and legs were cut off, cooked over the flames in the underground oven and eaten, while the victims were still alive. Some of the captors presented the flesh to the victims for consumption as a means of further humiliating them. When the gruesome feast seemed to near its climax, the chief ordered his attendants to skewer fish hooks into their tongues, pull them out as far as possible and cut them off with the sharp edges of their bamboo knives. The tongues were roasted in the kindled ovens and eaten by the chief's henchmen, while the victims moaned guttural sounds that begged for the chief to terminate their lives. Lastly, the chief made a lateral incision in the side of the victim's torsos and the henchmen extracted the victims' bowels, resulting in their deaths. Native Hope is a historical fiction novel of Fiji, a beautiful group of islands in the South Pacific, that's full of personal drama, intriguing cultural practices and legends. 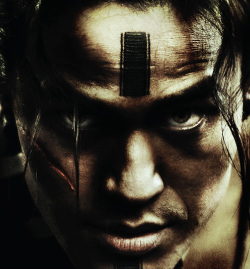 Native Hope illustrates the resiliency of the human spirit, despite dangers of human extinction by floods, sea travel, deadly cultural norms and taboos and the insatiable desire for the consumption of human flesh. Available in TWO covers ! 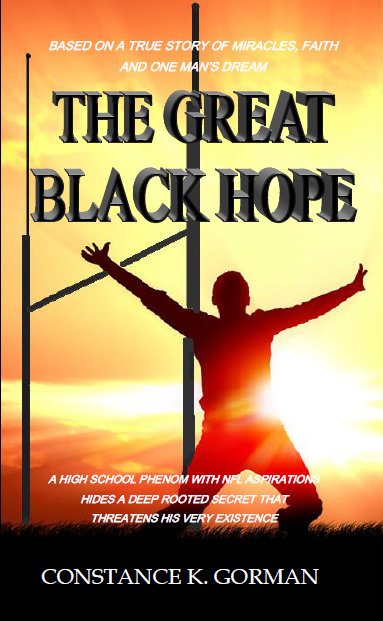 THE GREAT BLACK HOPE is a true story about Tony Daniels, an in-the-closet illiterate high school student who is a stand-out football athlete with a promising future in college football and , possibly, the NFL. 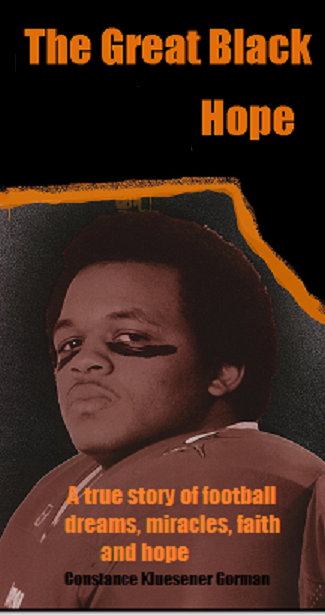 When Tony realizes he may not graduate from high school, he seeks the help of a willing Science and Math teacher to teach him how to read and overcome the many other life-threatening obstacles in his life. Follow Tony’s journey of gaining the gift of reading, conquering a debilitating depression and overcoming a heart ailment to find a successful career path he never would have imagined!